Leave Florence behind even if for just a half day and immerse yourself in the picturesque Tuscan countryside, exploring lesser-known medieval villages. 47 kilometers south-west of Florence, on top of a hill in the heart of the Val d’Elsa, 13th-century Certaldo has preserved the classic fortified structure of medieval villages, surrounded and protected by walls and towers. 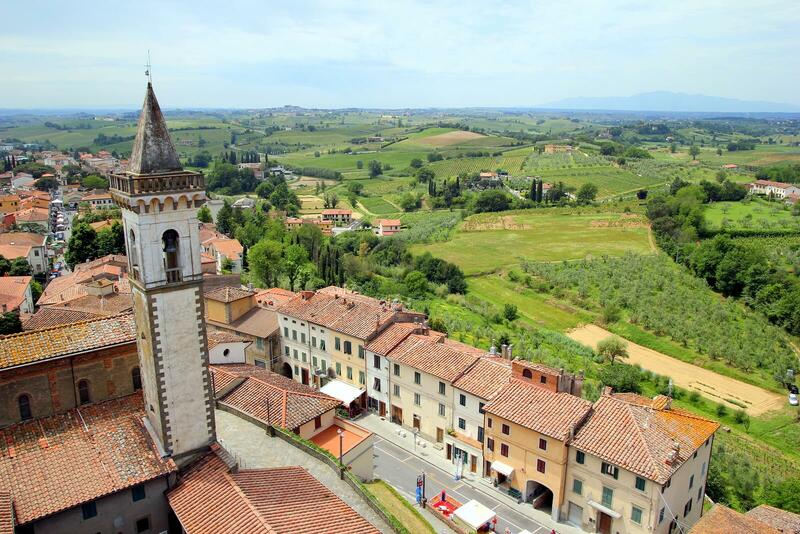 It is the hometown of one of the Middle Ages’ most important Italian writers, Giovanni Boccaccio, and indeed a visit to the house where he lived is a must (tip: walk all the way up to the rooftop terrace for 360-degree view of the red-brick borgo and the verdant Valdelsa). Other highlights include the 12th century Palazzo Pretorio, seat of the local government, the Church of Saints Jacopo and Filippo, which houses Boccaccio’s tomb, and the Logge del Mercato, the marketplace buildings. To learn more about Certaldo, read our dedicated feature. Approximately 50 minutes west of Florence, this tiny borgo on the slopes of Monte Albano, set among a countryside covered in vineyards and olive groves, Vinci is the hometown of…you guessed it, Leonardo. Indeed a visit to Vinci revolves around the story and life of the Renaissance genius, who was born here, out of wedlock, in 1452. Like so many of Tuscany’s medieval villages, Vinci sits on top of a hill; its historic center is dominated by the bell tower of the local parish, which stands near the 11th-century castle of the Guidi counts; today, it houses the Museo Leonardiano, three floors where machines and prototypes based on Leonardo’s notebooks are on display. Leonardo’s house is 3 km to the north and has maintained some elements from the 15th century, such as the fireplace. To learn more about Vinci, read our dedicated feature. About an hour from Florence, perched on a hill overlooking rows of vines and olive trees, Castelfalfi is at the heart of an area that is famous for the production of prestigious Tuscan wineand olive oil. 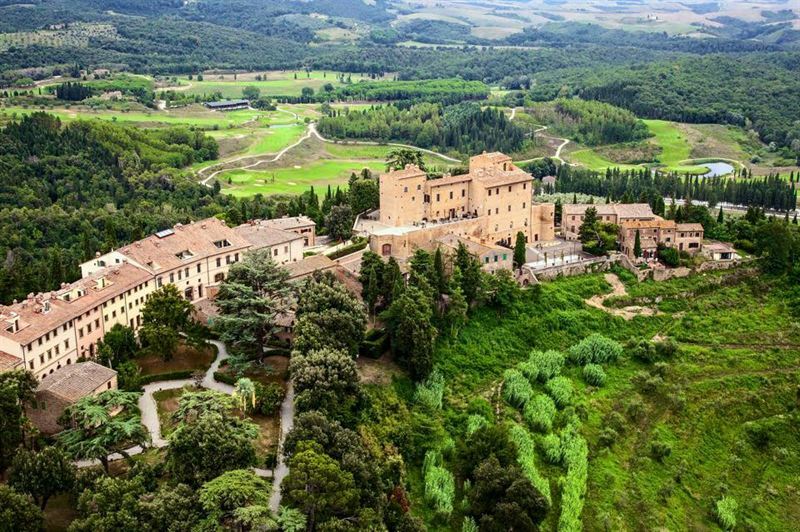 And it’s also where Oscar-winner director Roberto Benigni filmed some scenes from his Pinocchio, right inside the large estate once owned by the Medici family that now houses the borgo. Almost abandoned during the 1960s, Castelfalfi was taken over by a private company several years ago, revived and made into a resort, which has maintained the features of a traditional medieval village, but also offers a golf resort, two hotels, swimming pools, gourmet restaurants and shops. To learn more, visit Castelfalfi’s website.